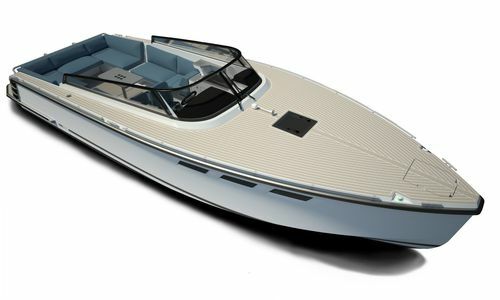 Much like its sister the Coupé, the HOC 33P Open is a beautifully designed boat with elegant lines. 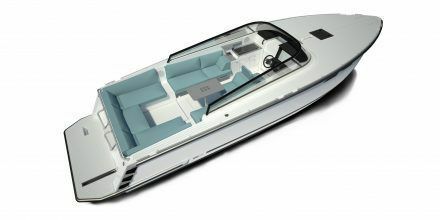 Born for sunny shores, the HOC 33P Open would look equally at home cruising the crystal-clear, blue waters of the French Riviera, as it would following its Scandinavian heritage, exploring the wild and beautiful Swedish archipelago. 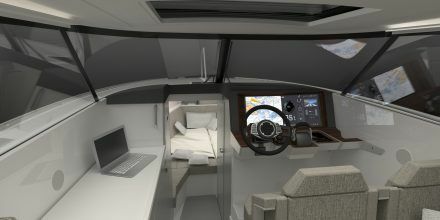 A large, open cockpit welcomes you onboard and through inventive design and clever features, it’s truly an agile space. Whether you want to sunbathe, relax or dine alfresco the HOC 33P Open can offer a solution to match your unique lifestyle. 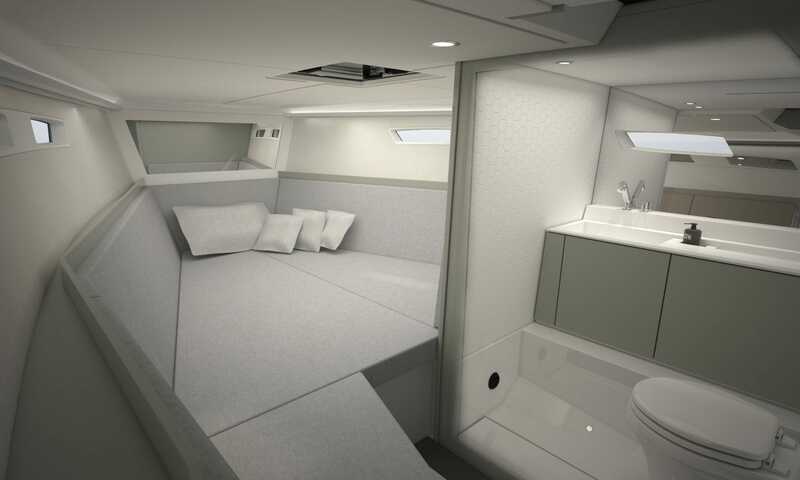 The hull is constructed using state-of-the-art composite materials which have exceptional technical specifications. This provides a good strength to weight ratio and helps to keep the HOC 33P Open light and agile. 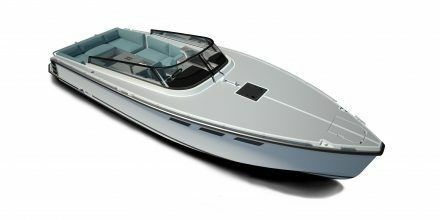 With Petestep technology integrated into the hull design, the HOC 33P Open has a ride which is softer, quieter, more lean and safer than before.